German clinical-stage biopharma company Affimed and MD Anderson today announced a development and commercialization agreement in immuno-oncology that will evaluate Affimed’s bispecific antibodies in combination with the natural killer cell (NK) technology of MD Anderson. Affimed’s calls its bispefic antibodies “TandAbs” due to their tandem antibody structure, which is designed to direct and establish a bridge between either NK cells or T cells and cancer cells. TandAbs can bring NK cells and T cells into close proximity and trigger a signal cascade that leads to the destruction of cancer cells, according to information provided by the company. The company currently has five clinical programs running, the most advanced is its Phase II program with its candidate TandAb AFM13, targeting the tumor marker CD30 for Hodgkin’s lymphoma. 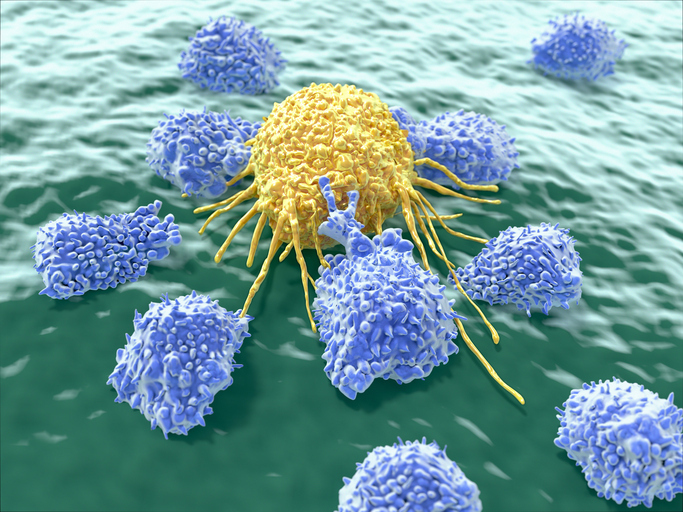 Under the terms of the collaboration, MD Anderson will conduct preclinical research on the combination of its NK cells derived from umbilical cord blood in combination with Affimed’s NK-cell engager AFM13. Affimed will fund the research activities, which are intended to include a follow-on Phase I trial, and holds an exclusive option to worldwide rights to develop and commercialize any products that arise from the collaboration. AFM13 is a bispecific NK cell TandAb that targets both CD16A on NK cells and CD30 on tumor cells. AFM13 is designed to treat CD30-positive malignancies including Hodgkin’s lymphoma and T-cell lymphoma. AFM13 is being developed both as monotherapy and in combination with other therapeutics, such as Merck’s checkpoint inhibitor Keytruda.